Download the 2018 SPONSOR FORM below! The Red & Black Sports Club is hosting it’s 8th annual Golf Tournament at the Sugar Mill Country Club in New Smyrna Beach, Florida. This tournament has raised over $600,000 in donated monies that goes directly to local area youth sports including the New Smyrna Beach High School Sports Programs. The Tournament includes over 36 foursomes of golfers that travel to New Smyrna Beach from as far away as Orlando and Jacksonville. 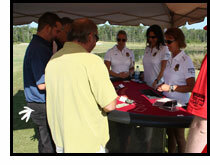 The Tournament also includes unique fund raising opportunities outside of standard tournament practices such as a full Poker game, Blackjack tables located around the course, (2) one million dollar shot contest, and a $25,000 Putt raffle. 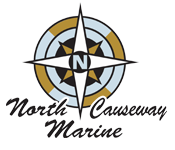 The Tournament is sponsored by over 30 local area businesses and provides complimentary beverages on nearly every hole of the course. In addition, three-area businesses provide a Margarita hole, a Apple shot hole and a special Vodka drink hole. The Red & Black Tournament is unlike other tournaments and provides its volunteers, players and hosts an entire day of entertainment and fun, which donates 100% of all proceeds to local area youth sports. SIGN UP TODAY – DOWNLOAD THE SPONSOR FORM!